Champion MAS Holdings TT teams with their trophies. 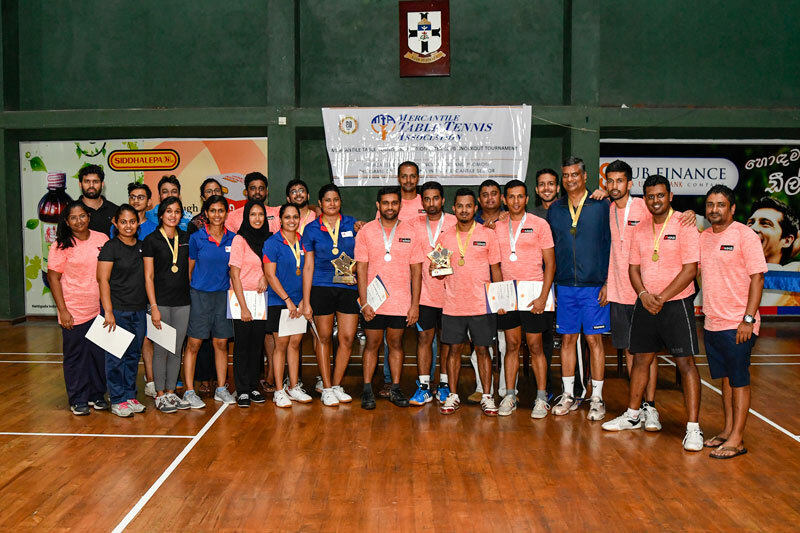 MAS Holdings emerged Men’s and Women’s ‘A’ Division Table Tennis Champions at the 60th Mercantile Table Tennis knock out Tournament conducted by the Mercantile Table Tennis Association at S. Thomas’ College, Mount Lavinia Indoor Stadium recently.MAS Men’s ‘A’ Division team beat Seylan Bank 3/2 and MAS Women’s ‘A’ Division team beat Seylan Bank 3/0, thereby Seylan Bank Sports Club were runner-ups in both categories. MAS winning men’s team comprised Nirmala Jayasinghe, Sukitha Wickramanayake, Gimhan Walisundara and Rajiva Wijetunge. MAS winning women’s team consisted of Kalpani Herath, Srimalee Wimalaratne and Dulanjali Samarasinghe.